Derby training tonight. Feels like ages between practices, even though its only been one week. 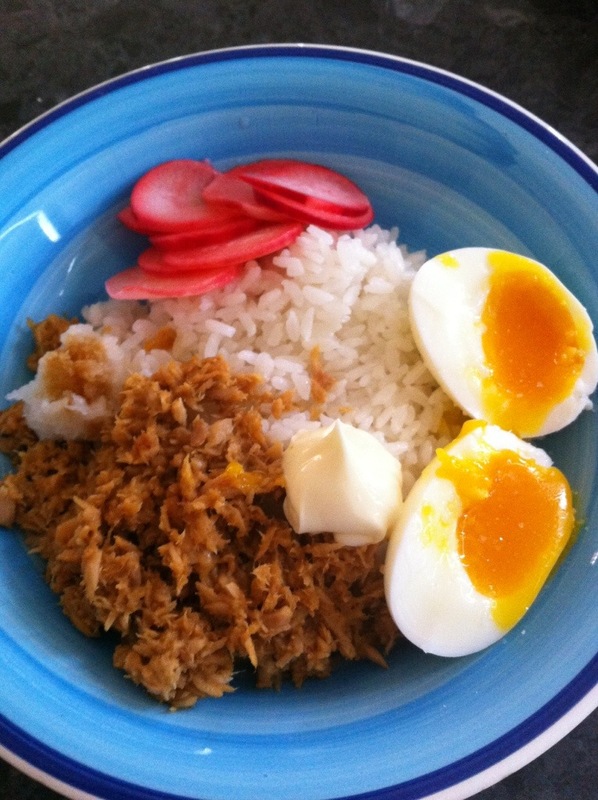 The usual rice/tuna/egg combo for dinner with added awesome pickled radishes.